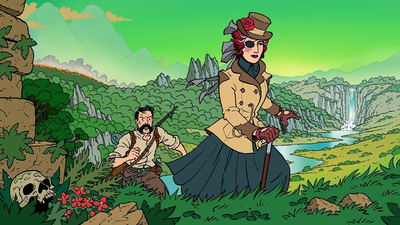 Curious Expedition is a roguelike expedition simulation set in the late 19th century. Together with famous personalities you will venture on unprecedented expeditions to regions never explored before for fame, science and treasures. Put on your pith helmet and khakis and make your way through a lush, procedurally generated world full of wonder and mystery. Now go explore, adventure awaits! 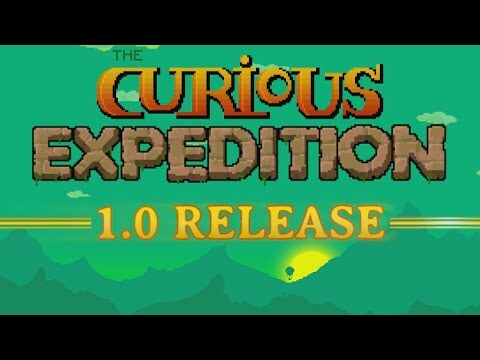 Experience your very own adventure through a procedural story which makes every game unique. 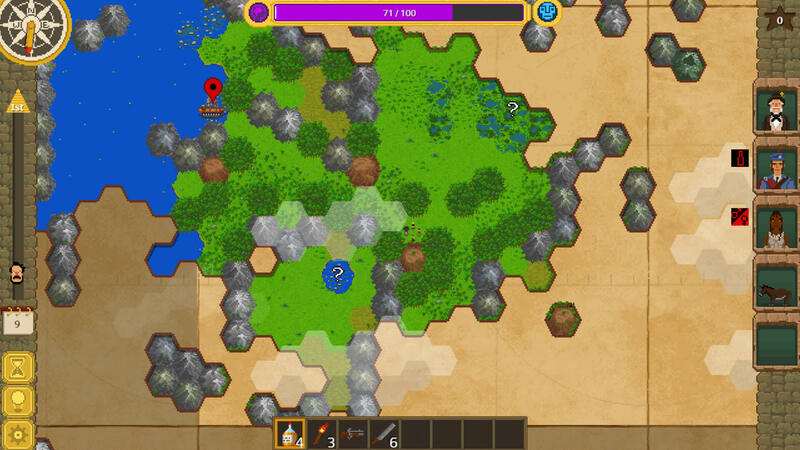 Explore procedurally generated worlds, each with its own distinctive set of challenges for the ambitious explorer. Plan and equip your trek. A good explorer is prepared for any eventuality. Manage your resources to keep your trek alive and sanity high. Balance your needs with the desire to carry all that precious treasure back home. Visit and interact with the land’s natives. 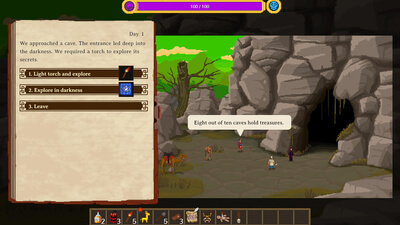 Enter villages, trade and communicate with local tribes and civilizations that are unknown to mankind. Loot mysterious temple ruins to gain fame and treasures, but watch out for deadly traps and curses that will compromise your trek and the world around you. Equip and utilize miraculous treasures to gain advantages, but be wary of unforeseeable side effects. Fight and defend your trek against a wide range of wild animals, mystical creatures and even dinosaurs. This is a fantastic game for generating anecdotes, as I found when I first played it way back when, but it’s also an enjoyable challenge. 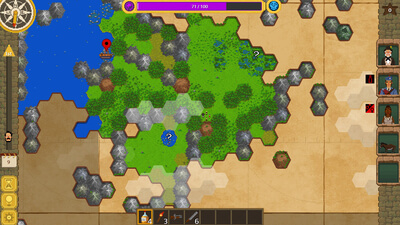 At the end of the day, the infinite replayability of procedurally-generated maps and adventures is limited by the encounters available, and you'll have seen them all in a couple of playthroughs. Still, in that time it's a pretty good laugh, and The Curious Expedition bestows a real sense of adventure and exploration.